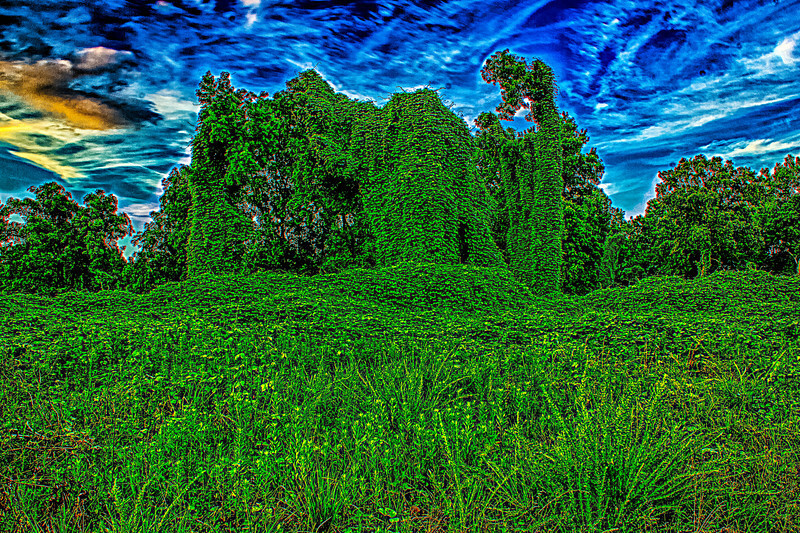 Kudzu Animal Storm. (Japanese Arrowroot). Unknown to landowners the plant is edible and has Medicinal uses, Animal feed, Basketry. This was taken as the sunset behind me a rain storm was passing through with an opening.. Used Promote Control set at .3 and 17 shots so +/- 3AV post processed with Nik HDR Efex Pro 2, Dfine 2, Sharpener Pro 3, Color Efex Pro 4, Lightroom 5 lens correction.. Canon T2i.